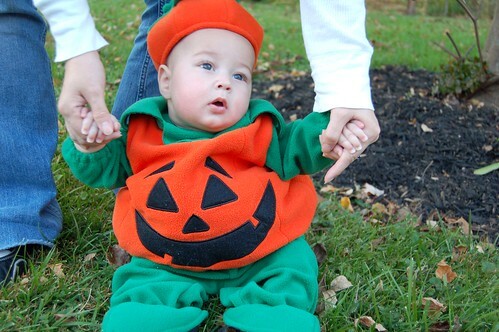 N (who I'm still thinking of a nickname for) on his first Halloween. You mentioning wordpress makes me think oh, yeah...i need to blog! I think the only annoying thing i find about it is the constant updates. That and i'm not sure still of what happened to our feed. I'd follow you anywhere!! Lylas! hiya, have you started reading valente's 2nd book, the fairyland one and leading the revels there? oh i am so sad, i'm 100+ pages in and i am not liking it :( i think i'm at the point where they've gotten off the eel train. have you started it yet, what is your opinion on it?